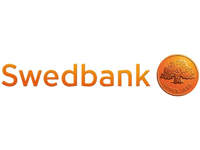 Swedbank Finland acts as a financial group serving corporate clients and private individuals. Its headquarters are based in Stockholm. The core asset of Swedbank lies on its client services which were catered by loyal staff comprising of about 14,000 employees in the Baltic and Nordic regions. Similar to the banks’ broad range of clientele base, it walks from the diversity of most of its dealings.